DORIN FRANKFURT designed her Fall-Winter 2018 collection with structure and shape in mind. The silhouettes were strategically cut to enhance the most flattering parts of the body. 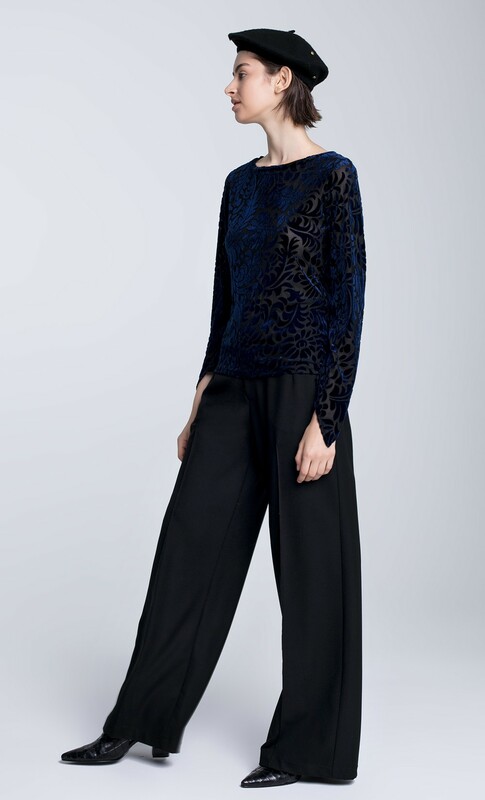 This dreamy evening top is made from a lustrous navy and black floral devoré velvet and features Asymmetrical flared sleeves.